The PT-1Ci is a security tool for data-sensitive HDMI installations (military, banking, and such). 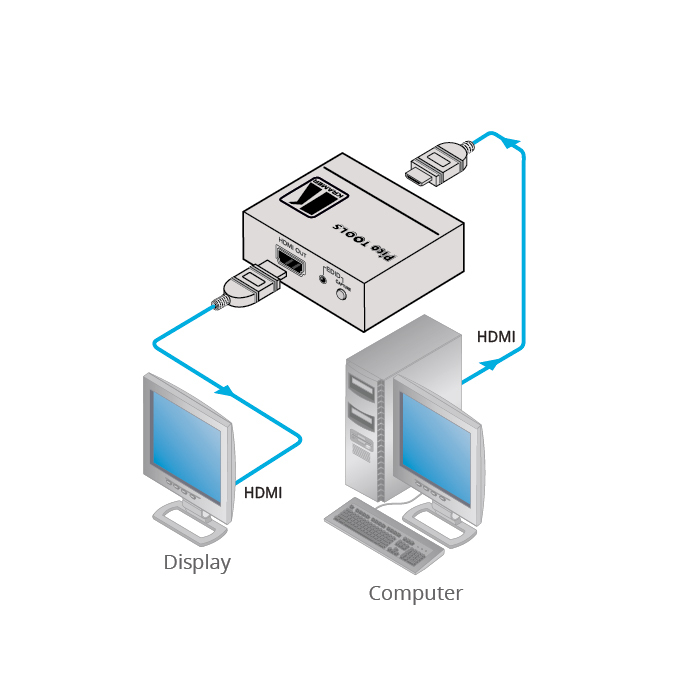 It is an EDID buffer and storage device for HDMI signals that prevents reverse communication of the DDC signal. The device blocks HDCP and prevents EDID pass-through. The PT-1Ci lets you read and capture an EDID securely and present it to sources for compatibility with the display. The device has no effect on the audio and video streams, and therefore, supports 4K UHD video. Max. Data Rate - 10.2Gbps (3.4Gbps per data channel), 4K UHD compatible. Line Powered Device - Power taken from the HDMI line, no power supply is needed.